software platforms improve one choice at a time. Let’s partner to take your business further. You’ve got multifaceted clients to serve. 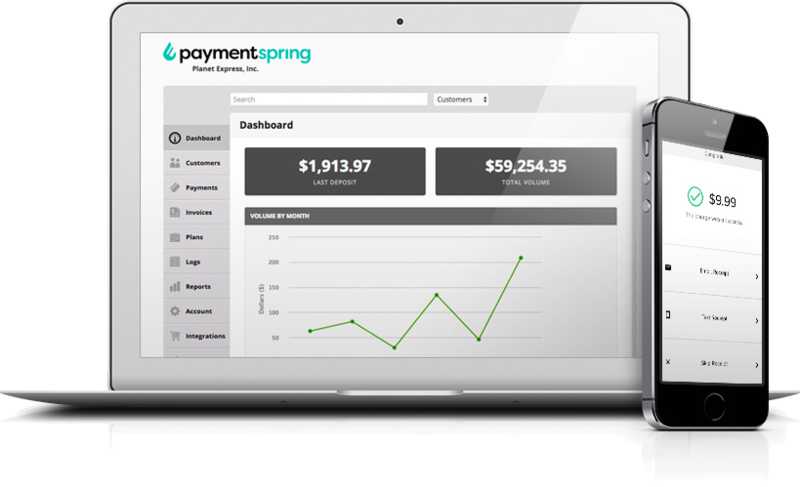 PaymentSpring can help, and we want to be in it for the long haul. Our developers and support staff understand the nuances of platform configuration, promotion, sales and service. You and your team run a tight ship and go the extra mile for your clients, and you deserve the same in return. That’s where we come in, to pick up where typical providers fall short, and provide a developer-driven gateway and strategic marketing support. Mobile donation and payment solutions. Simple integration and responsive team members. Full access to developer-driven RESTful API Docs. Outbound sales call campaign planning and execution.